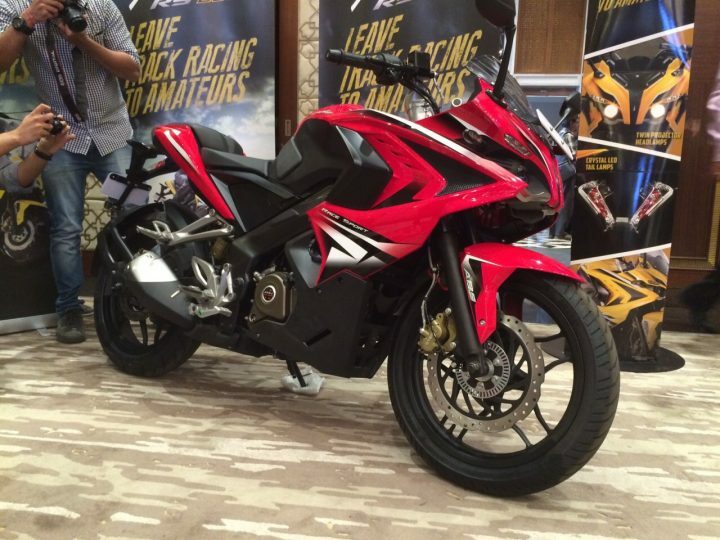 Bajaj Auto has been the company that introduced affordable sportbiking in India. 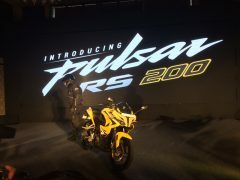 Its Pulsar range of bikes have been the choice of many and now, the 200NS has got a stylish new sibling! 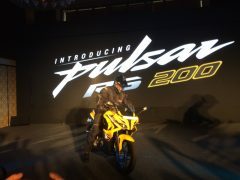 Yes, the Bajaj Pulsar 200SS launch has taken place and the new model has been launched at a starting price of INR 1.18 lacs! According to reports, the Pulsar RS200 has turned out to be such a big hit with Indian customers that good chaps at Bajaj recently doubled the production to meet the high demand. Reports also suggest that the demand for the ABS version has also exceeded expectations with the ABS equipped version accounting for more than 50% of the total sales. 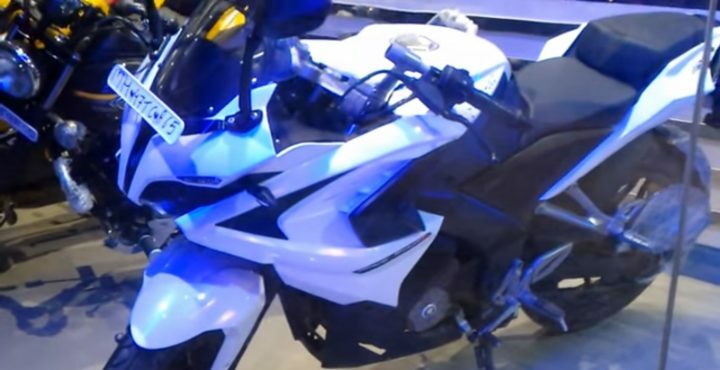 Bajaj is expected to add a white paint option to the RS200 soon as evident from the pictures and video that was taken at a dealership recently. 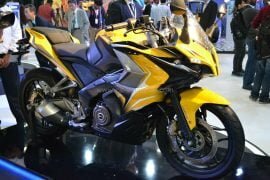 Here, in this post, we have come up with a detailed report on the Bajaj Pulsar RS 200 price, pics, features, top speed, specifications and all other details on the new Bajaj Pulsar SS 200, nay, the RS 200. 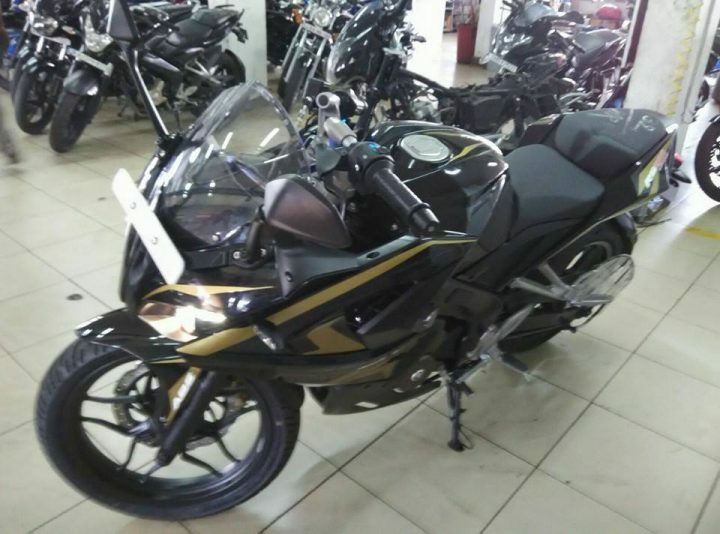 A black-painted Bajaj Pulsar RS 200 has been spotted at a dealership. 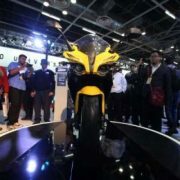 It maybe noted that so far, the Bajaj Pulsar RS 200 has been available only in Red+White and Yellow+Black color combos. Now though, chances are that the Black+Golden paint scheme you see in the image above might be a dealer level offering. 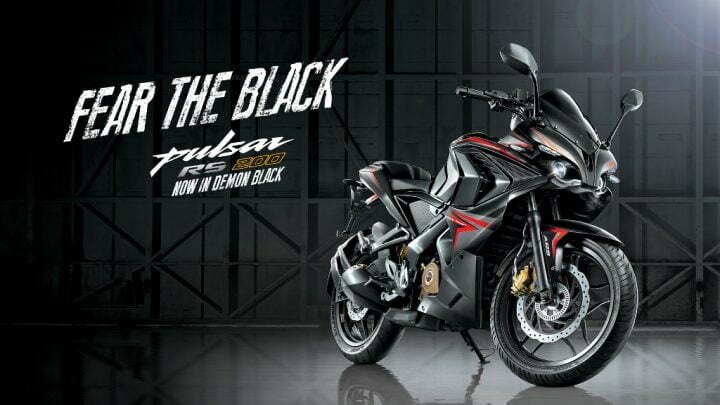 It maybe noted that Black has been the most popular color scheme among the Indian bike buying lot and hence, it makes a lot of sense for Bajaj to launch this color scheme. 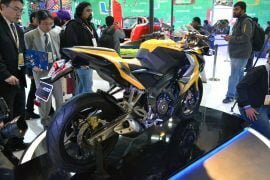 The new motorcycle is powered by a 199.5cc engine that has a maximum power of 24.5 PS@ 9,750 rpm and have a peak torque of 18.6 Nm @8,000 rpm. 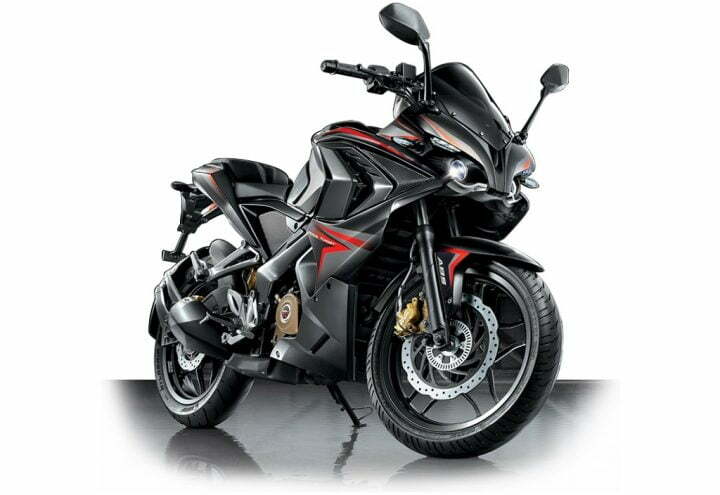 The engine boasts of fuel injection and further benefits from liquid cooling. It comes mated with a six-speed manual gearbox. 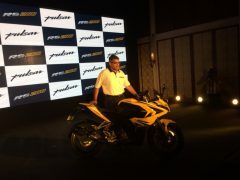 The bike tips the scales at 165 kgs and has a fuel tank of 13-litres. It gets conventional telescopic forks up front and a mono-shock at the rear. 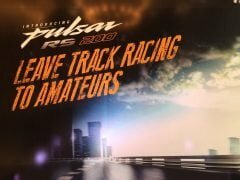 The RS 200 has 17-inch mag wheels that come shod with 100/80-spec tyre up front and a 130/70-spec tyre at the rear. The front wheel gets a 300 mm disc brake, while the rear gets a smaller disc of 200 mm. The bike also gets a single-channel ABS from Bosch.